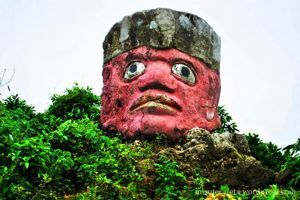 Exploring ruins (haikyo) is the ultimate real-world Indiana Jones experience. This is where the mystery is. In the doctor’s office the scalpels are laid out for surgery. Battered wooden apartments are still filled with the weathered remnants of their old occupants. Doors hang open, plates sit with long-rotten food, calendars are still marked for some future date, left as they were. From a ruins perspective Okinawa is not a goldmine of locations. The excess and extravagance of the construction from the bubble era looks like it never extended to Japan’s southern most prefecture. 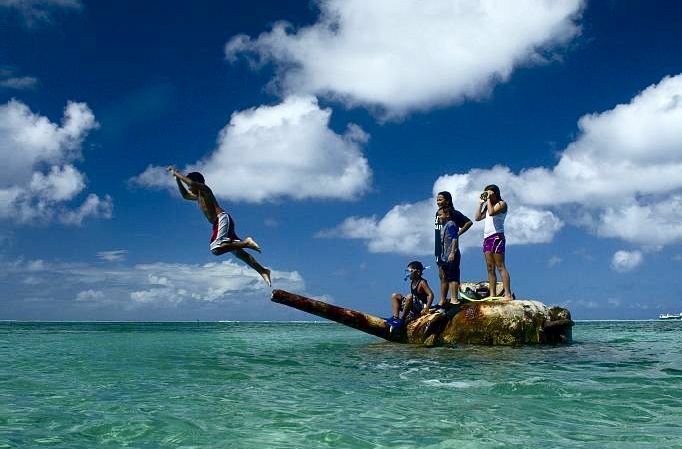 The Rekio Hotel was built around the time of the Okinawa Ocean Expo. In that decade there was a boom in hotel construction, hoping to cater for the influx of tourists. Many people did come, but not enough to sustain the hotel’s business long-term. 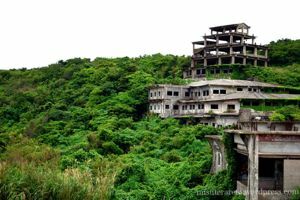 Along with Sports World the Nakagusuku Kogen Hotel is one of only a handful of ruins in Japan on the scale of a small village. Such is its grand positioning on the hillside the hotel can be seen from literally miles away Brian was riding in the mountains of Yamanashi, a couple hours from Tokyo, when he came across another rad random hotel haikyo. 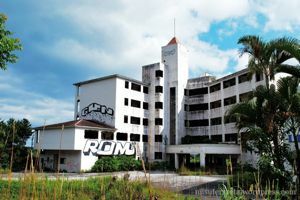 These are the ruins of the Sun Park Hotel. 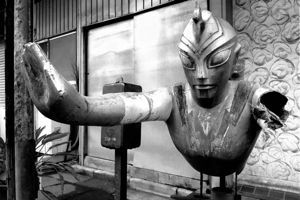 Ultraman is a Japanese icon, guardian of Tokyo against all kinds of horrible invaders since 1966. His branding can be found everywhere, from plastic bento lunchboxes to bikes, cell-phone straps, and kids ride. The apocalypse road leads nowhere, from nowhere, with nobody left to care what it was ever meant for in the first place. 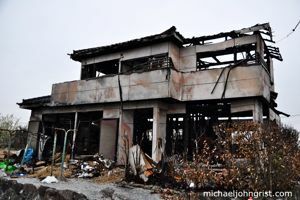 When I went on the wedding haikyo shoot we stumbled upon this burnt down house. Normally I’d bypass it in favor of the target- in this case we were looking for the Hume factory, but that turned out to be demolished. 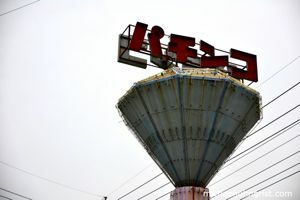 This pachinko hall was a generally unremarkable ruin, but it had its own charm- especially the big diamond sign. 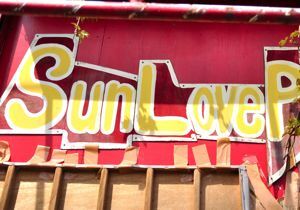 At the time of the Great Tohoku Earthquake in March I was teaching at a composer’s office 10 minutes west of Shinjuku- afterwards I walked home and bumped into the SunLovePrice haikyo on the way. 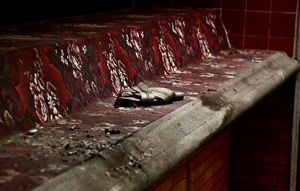 In 2007 the Seika Dormitory in central Tokyo went up in flames. 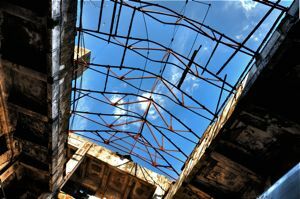 The roof was burnt away and flames roared up the building’s old stairways and licked at rooms full of possessions. Western Village is a quantum pocket of the Old West Disneyfied and transplanted wholesale from the American collective unconscious, replete with a $29 million replica Mount Rushmore, Western saloon, ghost house, jail, post office, shooting gallery, actual fake Rio Grande, and vast Mexican barrens. 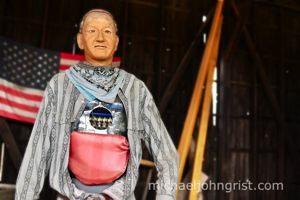 Japan’s abandoned wild west theme park Western Village is filled to the tip of its ten-gallon hat with animatronic cowboy dolls. A Stagecoach-era John Wayne with cyborg heart exposed stands by the park entrance, silent now that the tourists have stopped coming. 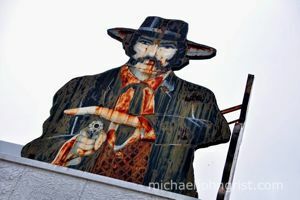 Japan’s haikyo theme park Western Village takes its cowboy conceit in some unexpected directions; most interestingly of all the Wild West ghost house. 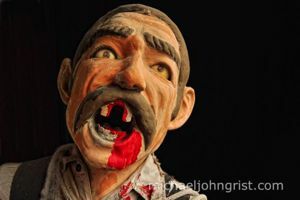 Within its silent black-velveted walls we can find all manner of creepified Western stalwarts. Disneyland has the grand pink Sleeping Beauty castle. The wizarding world of Harry Potter has Hogwarts. 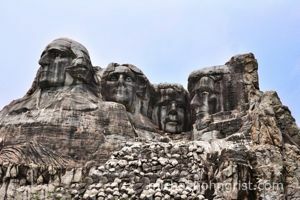 Japan’s abandoned Western Village theme park has a 1/3rd scale replica of Mount Rushmore. 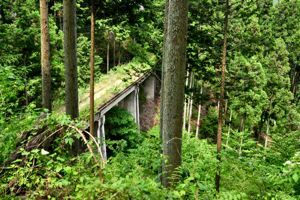 60 years ago the Mizune freighter line built one of the biggest dams in Japan. 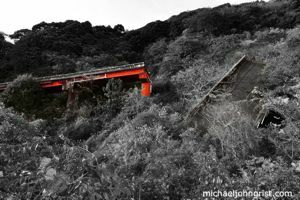 It has some 20 tunnels and bridges snaking through the west Tokyo mountains. Now it’s abandoned. 160 years ago, Japan and America looked at each other down the barrels of the Odaiba cannonades. Japan was in isolation, and America (the whole world, really), wanted in. That’s it for now- I hope you’ve enjoyed the explorations so far.